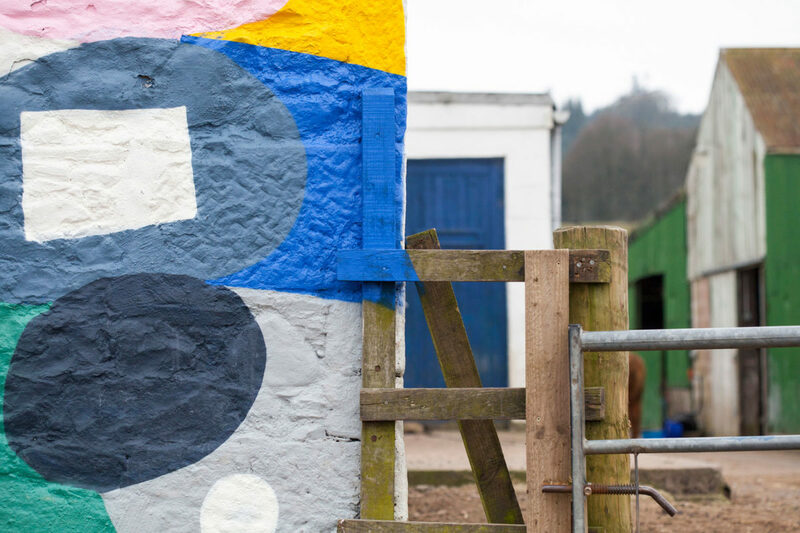 In March of 2016, we were invited to Scotland for a really inspiring “artists in residency” project. We were assigned to work with a young and upcoming local artist ,Rory Laycock. Needless to say, in a matter of days, we became friends! 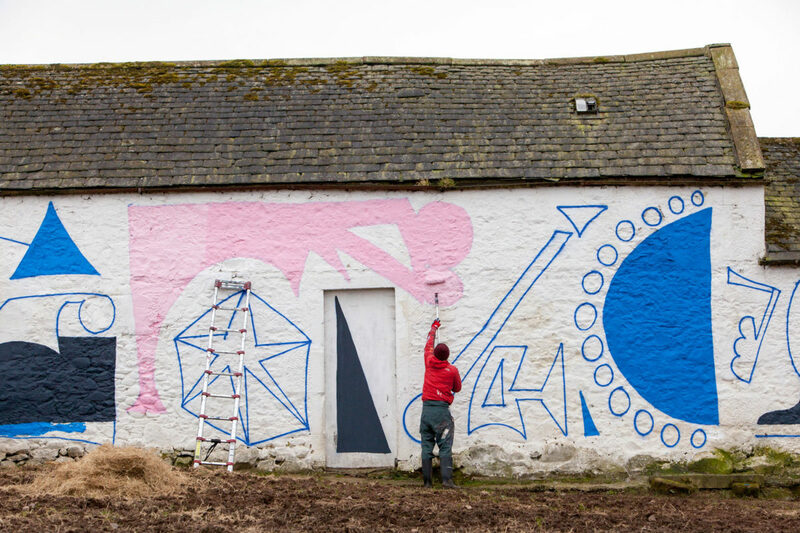 Together with Rory, we painted the back wall of an animal farm. After some research on “form”, we combined our favorite colors to create a well rounded scale, which were going to use. 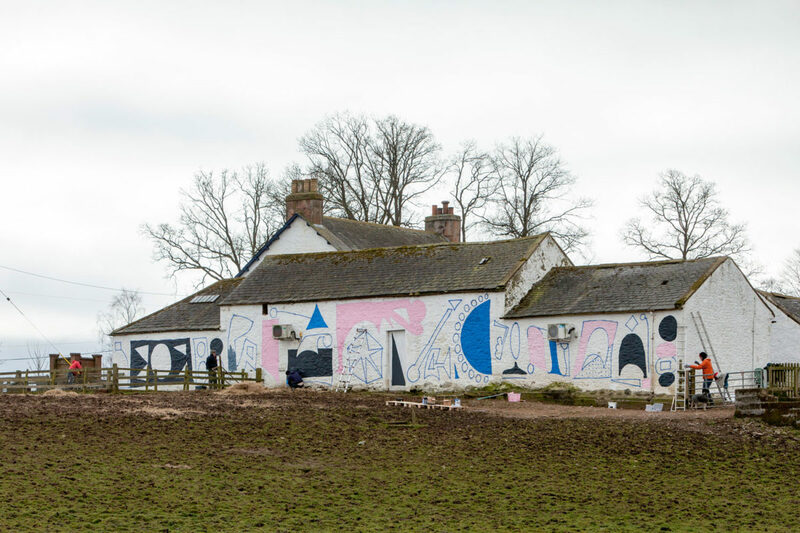 The painting consists of abstract shapes that create a beautiful contrast to the very rural area that surrounds the farmhouse. 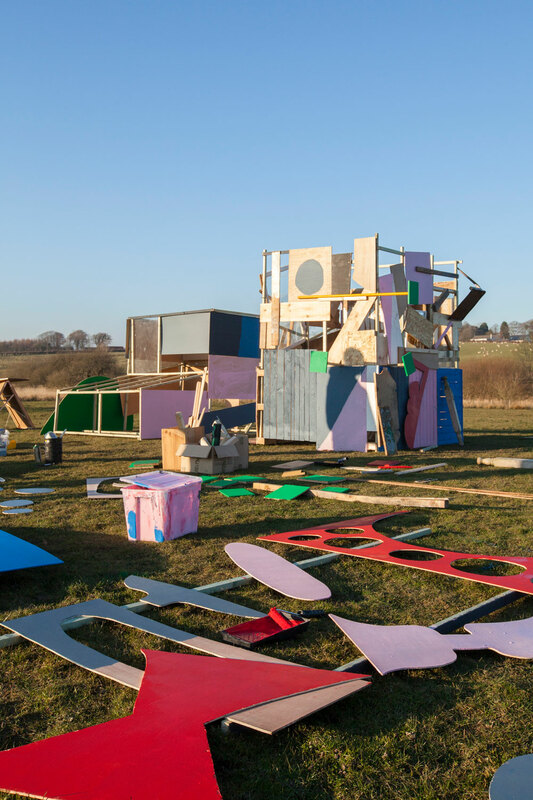 During our stay, we also managed to build an installation on a field next to the farm. 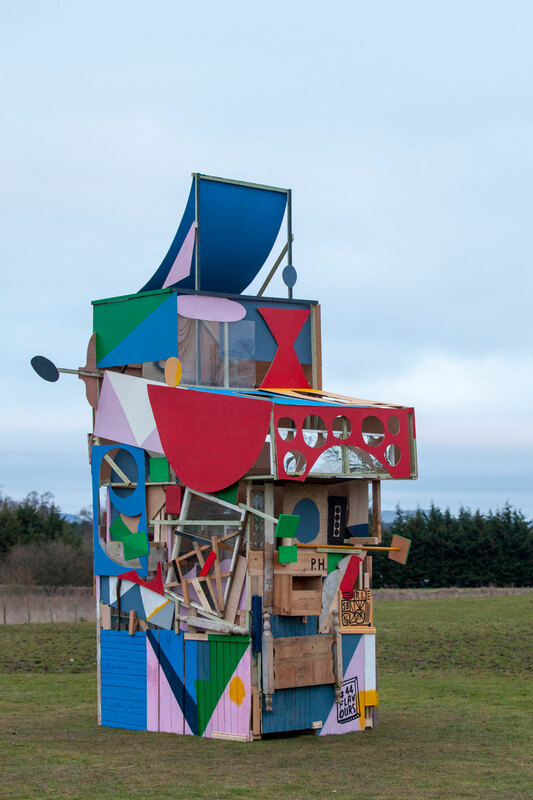 The piece was inspired by the “dookits” (pigeon lofts), which we saw back in Glasgow. 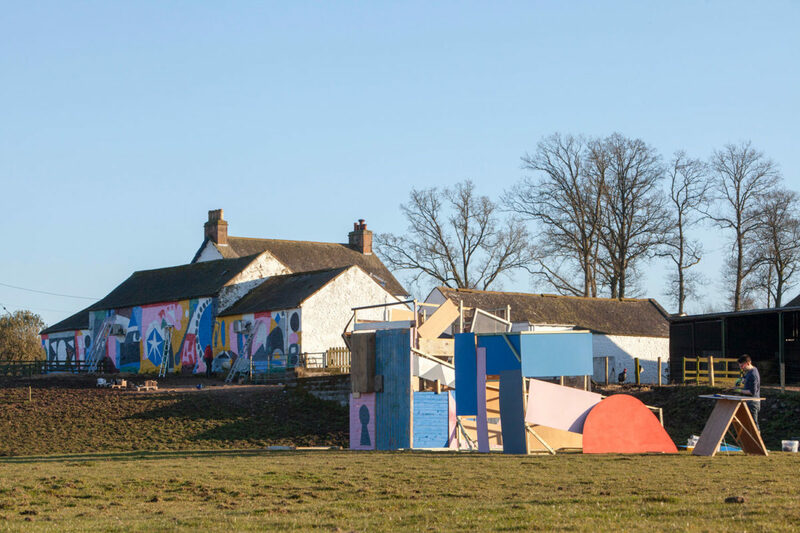 The installation, quite literally, stands in the middle of nowhere, which really makes it stand out like our wall. From one particular angle you can see both the wall and the installation simultaneously, and the connection between them becomes apparent. 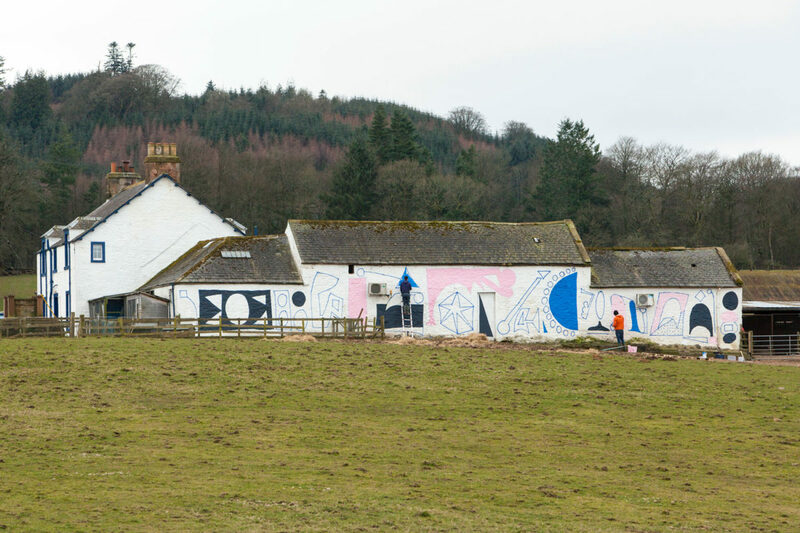 Spring Fling Rural Mural created large-scale works of public art in the heart of the Dumfries and Galloway countryside – but that was just phase 1. 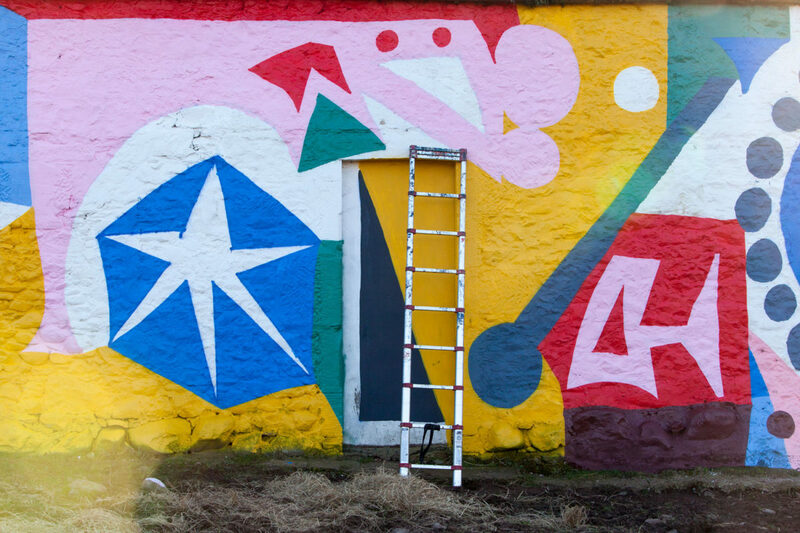 The project brought together national and international artists, teaming them up with artists based in the region and property owners who were happy to have their buildings used as a blank canvas for bright, bold new works. It was organised by Upland the Dumfries and Galloway arts agency that runs Spring Fling, and it was project managed by our friends at Recoat. 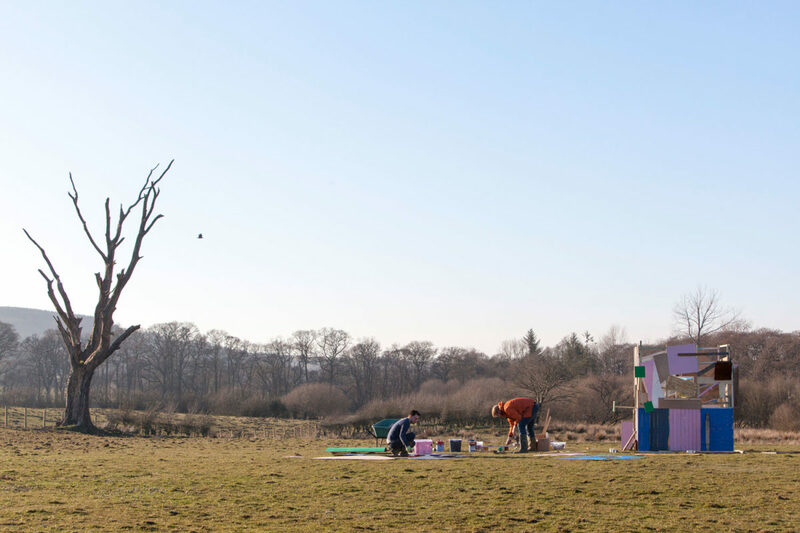 The project was supported by EventScotland, a team within VisitScotland’s Events Directorate, and by Creative Scotland. 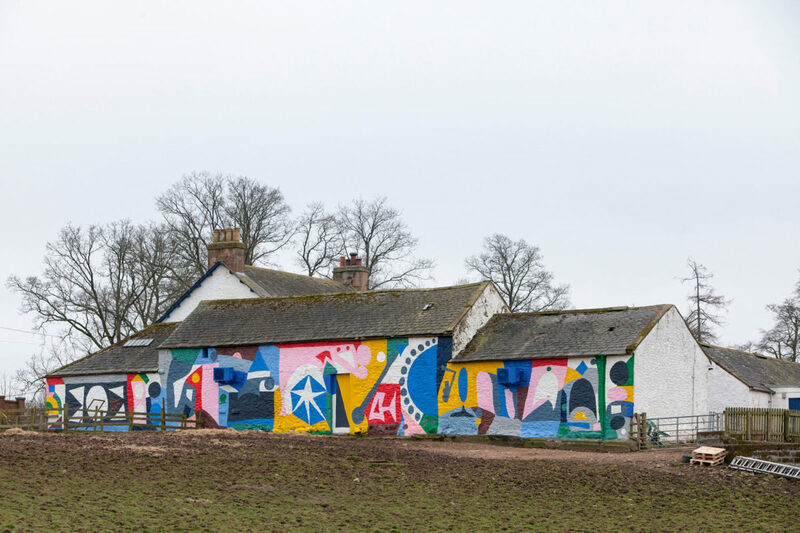 The murals were a centerpiece for Spring Fling, Scotland’s premier contemporary visual art and craft open studios event, which brought thousands of visitors to the region in May 2016. SFRM was also part of the Year of Innovation, Architecture and Design. Morag Paterson is a renowned photographer (currently preparing for an exhibition in Australia) with an increasing interest in other forms of visual art. Her background is primarily in abstract photography but she also works with mixed media including painting. 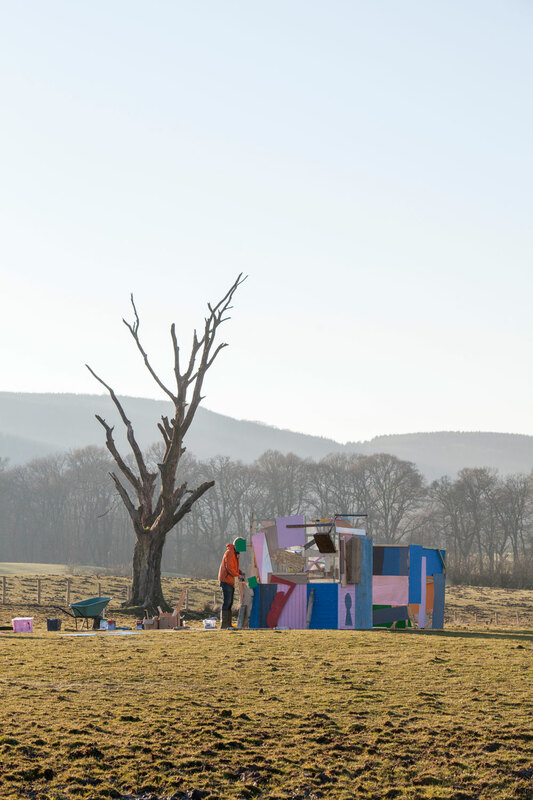 Much of her work involves engaging with and responding to place. her motifs are bordered by thick black outline – ideal for working on murals. 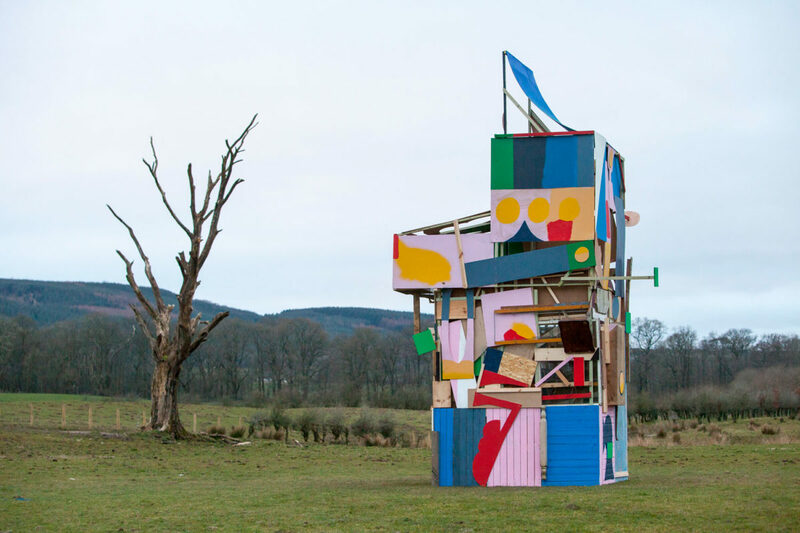 Rory Laycock is an emerging Dumfries and Galloway artist and a previous winner of a Spring Fling Young Artists’ Bursary award. 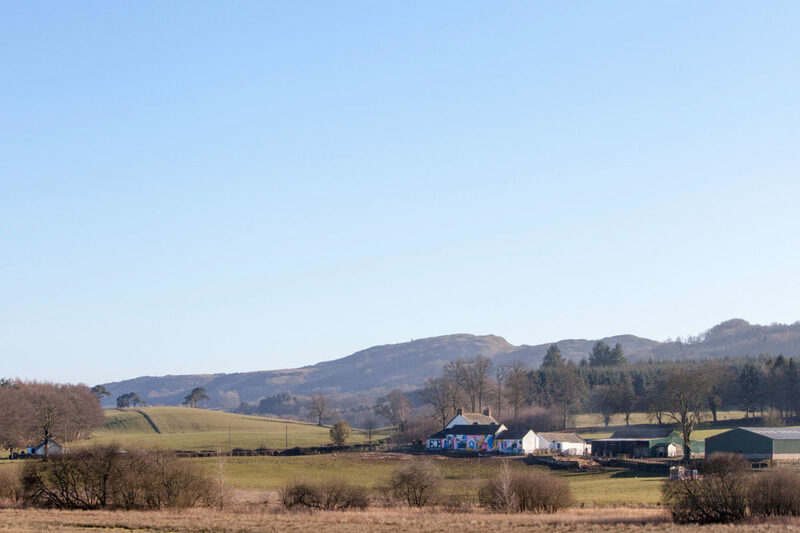 Colour is a critical component within his works and he has a love of the blues and greens that are so much a part of the Dumfries and Galloway landscape. Rory also has experience of creating installations, and enjoys collaborating with other artists – both of which was invaluable for SFRM. 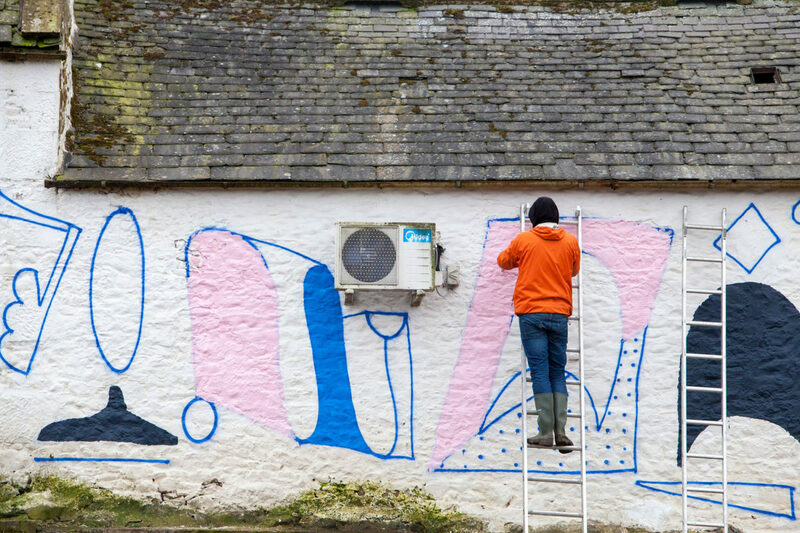 Recoat has previously worked with 44flavours and admire not only the quality of their work, but also the fact that they include an architectural element – creating structures as part of their art. Tellas was selected because his art has lots of organic shapes and patterns that will be ideal for the rural environment. 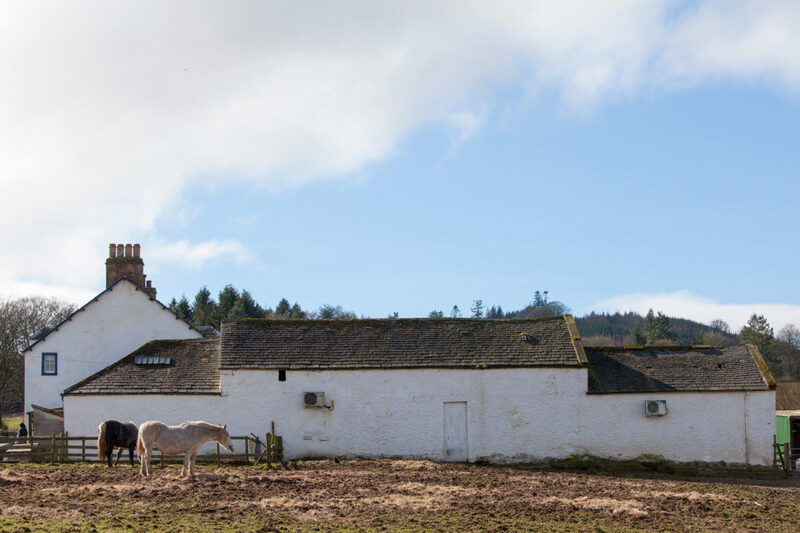 The Mossburn Animal Centre, Hightae. 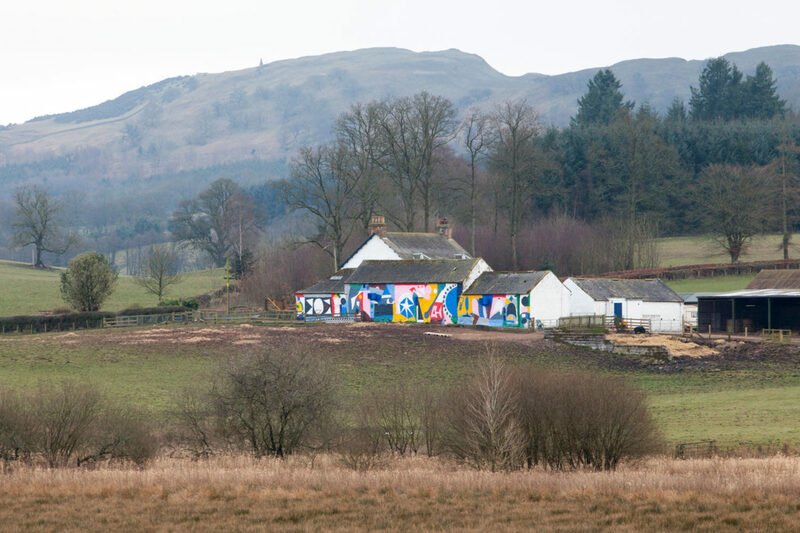 The mural is on the side of a large, stone farm building at this centre for ill-treated and abandoned animals. It is visible from B7020. 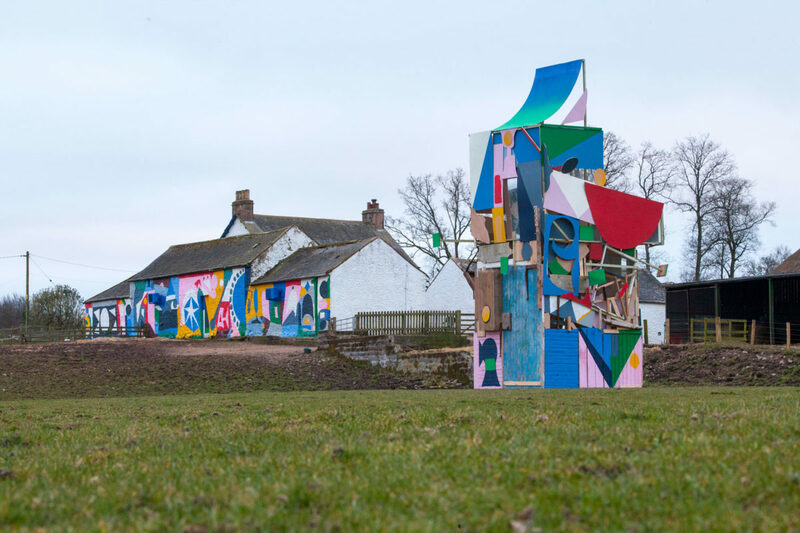 The creators were Berlin-based arts duo 44flavours (Sebastian Bagge and Julio Rölle) and Dumfries and Galloway visual artist Rory Laycock. 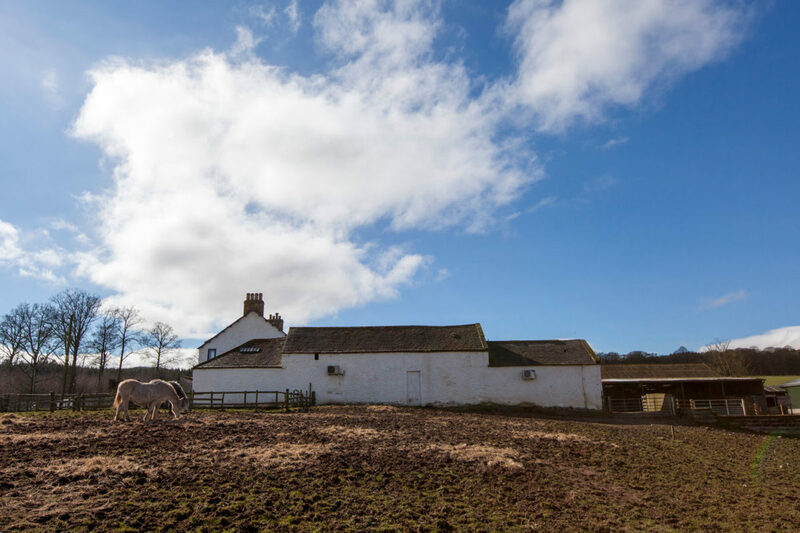 Meiklewood Farm, Ringford, Castle Douglas. 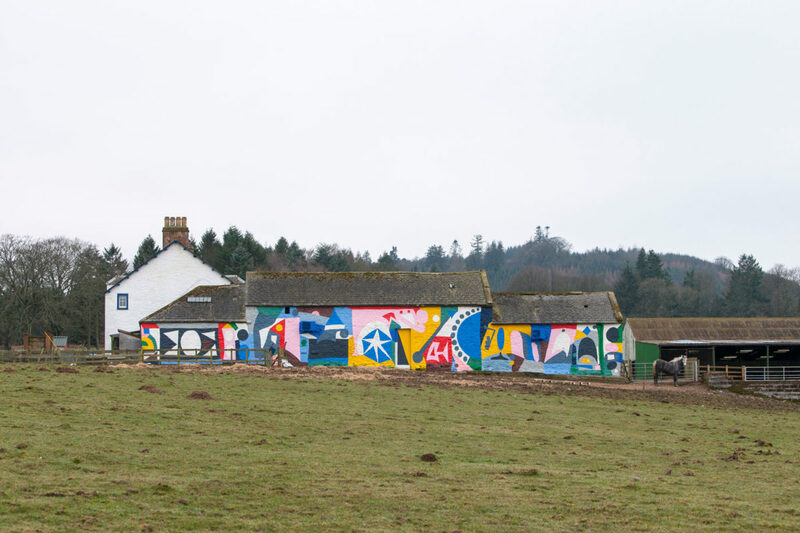 Tellas, from Rome, teamed up with Kirkcudbright-based Morag Macpherson to create a mural on a large steading near the A75. 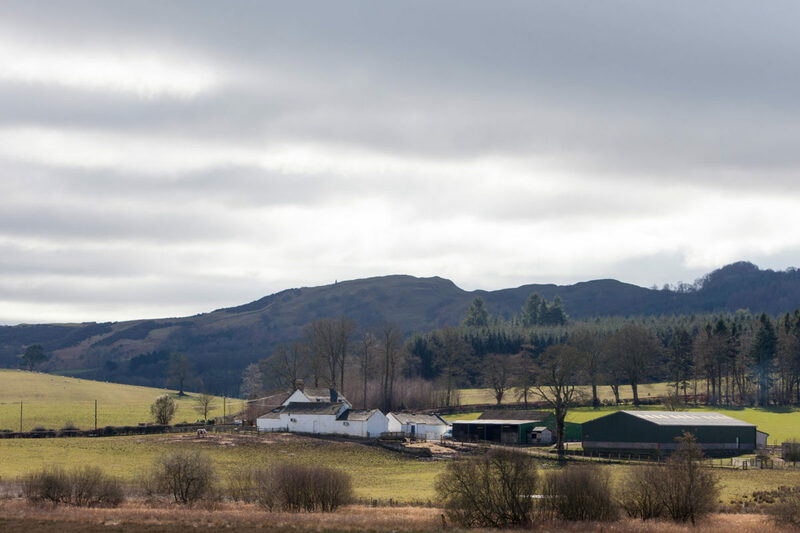 Craigdarroch Arms Hotel, Moniaive. Amy Whiten and Ali Wyllie from Recoat in Glasgow collaborated with Morag Paterson from near Thornhill. 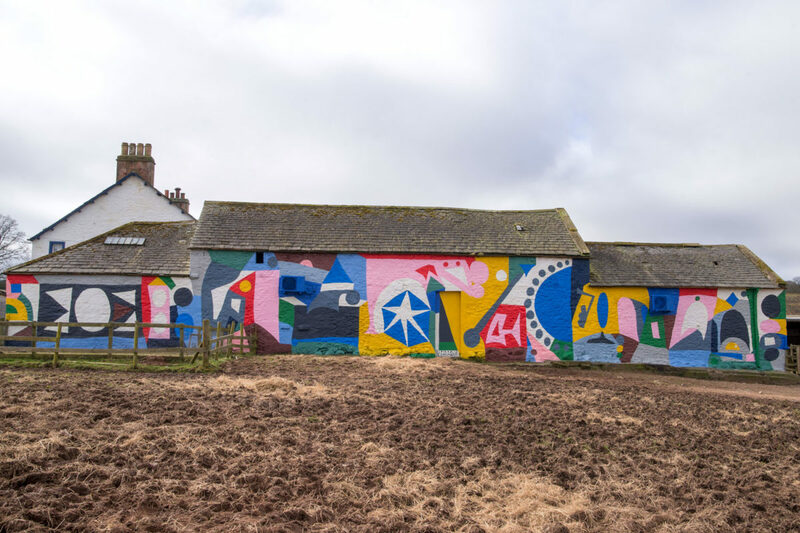 Their mural is on a gable end at a pub renowned for hosting arts events. 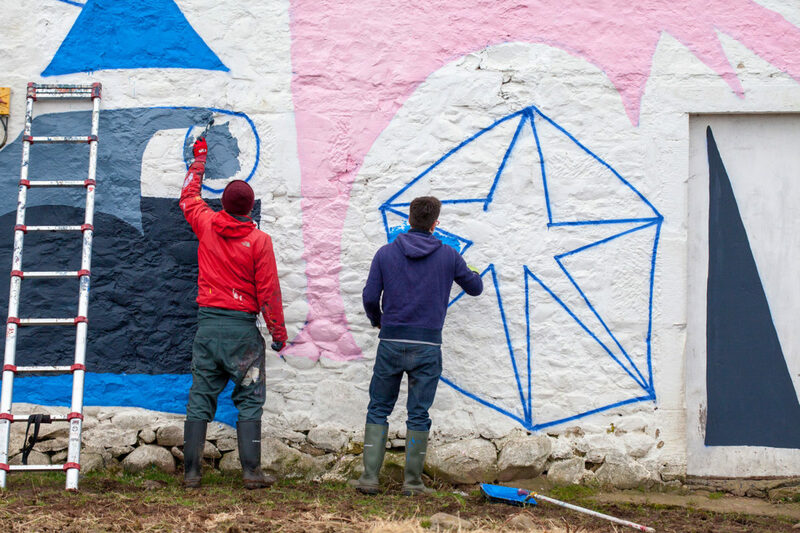 The theme of 2016 SFRM was “exchange” and in a novel twist the rural mural teams went urban – and created a second set of murals in Glasgow, Newcastle and Berlin. Recoat and Morag Paterson were heading for Glasgow, Morag Macpherson and Tellas worked in Newcastle, with Rory and 44flavours were going to Berlin. The Newcastle mural is placed at the city’s Toffee Factory and another mural was painted in Glasgow.